Union Soccer School is the ultimate soccer experience. 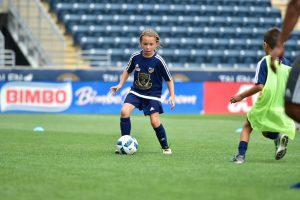 We provide unrivaled on-field instruction while giving our campers the unique opportunity to meet, play and learn from Philadelphia Union players and coaches. Campers also get an exclusive behind-the-scenes tour of Talen Energy Stadium. It is a Major League Soccer experience like no other. Featured at 11 great locations throughout Pennsylvania, New Jersey and Delaware. 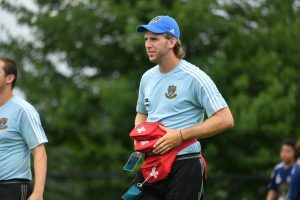 As the region’s premier soccer camp for boys and girls ages 6-14, Union Soccer Schools attract the region’s top coaches. 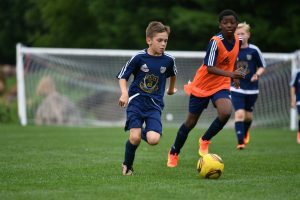 Union Soccer Schools focus on technique and skill development while also emphasizing principles like sportsmanship, individual integrity and how to be a team player. This was my son’s fifth year! The staff is excellent and coaches are awesome. Top-notch facilities and safety and security is never an issue. Also, the behind-the-scenes staff is pleasant and leaves no stone unturned.